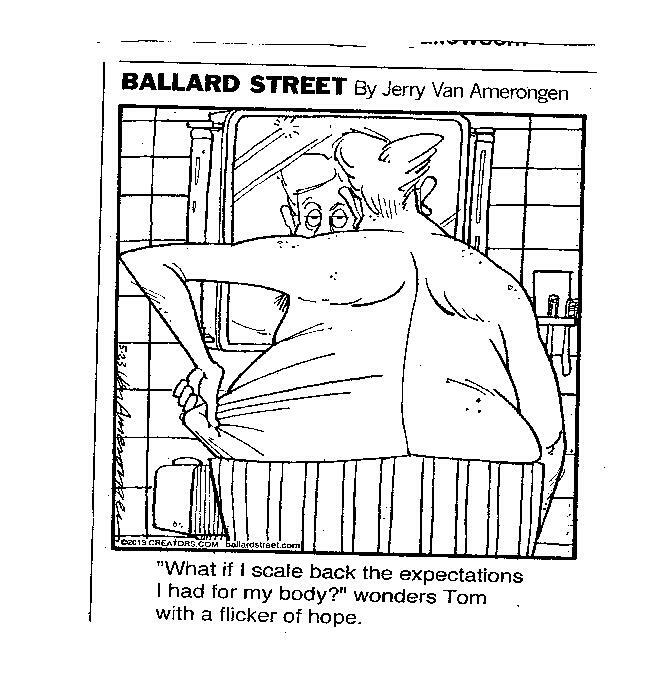 Thanks to a Dr. Weil article and a Ballard Street comic from Jerry Van Amerongen – this wellness coach asks you (and your female acquaintances) – is this a fitness wakeup call? I note, and say hmmm to the non-result for prostate cancer, yet I as a Vermonter won’t challenge a University of Vermont study. More importantly ->the LOWERED chances for two types of the big C, and the HIGHER chances for beating a big C for elder men ARE related to aerobic fitness. This entry was posted in Uncategorized and tagged Cancer countered by fitness, expectations, fitness, Mens Health, Vermont study, wellness. Bookmark the permalink.